The OutDoor trade show in Germany’s Friedrichshafen is the biggest annual fair for outdoor enthusiasts in Europe. In 2014, the fair saw 925 exhibitors, nearly 22,000 visitors, and more than 1,000 journalists. This year also we will attend – as an exhibitor! 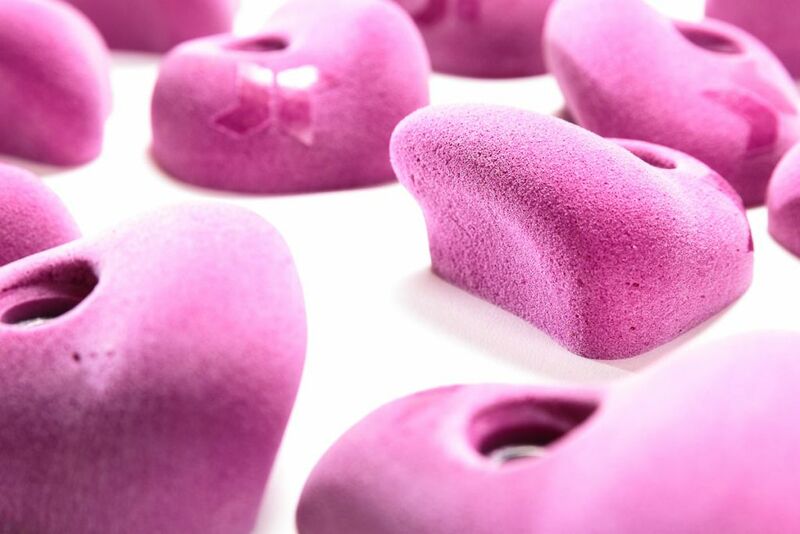 All climbing hold companies do this, but we’ve paid especially close attention to shapes that feel good and climb well. We think that aesthetics are important and stay true to our Scandinavian design heritage to offer holds that are both functional and beautiful. One of the new sets called “Three Way”; thin, pretty, and fits hands of all sizes. Here we can really benefit of our material, polyurethane (PU), which allows for smaller sizes without a risk of breaking. In fact, the inquiry we originally got stated: “Please develop REALLY BAD foot holds, VERY SMALL, that is.” And that’s what we could accomplish, thanks to PU! 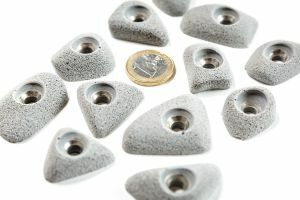 “Scandi Feet Nano”; route setters will love these, because they truly are foot holds and nothing more. The shims we’re using to reinforce the bolt holes are now stainless steel that sustains the demands of chemical washing. We’ve also added shims to the smaller holes that take the screws that prevent spinning. Purple is a wonderful distinctive colour. We really like the way it stands out! Grey is NOT a wonderful distinctive colour, but it serves a specific function that is commonplace in Finland: boulder gyms here set the lower parts of their walls with grey foot holds that apply to all problems of all colours in that section. It’s a very handy way to set boulders a) efficiently and b) versatile. In terms of quantities, we’re now certainly shipping grey more than any other colour – who would’ve thought! Eye candy to the max! All that and even more is to be viewed and touched July 15th to 18th in Friedrichshafen at our booth in hall / stand number B3-110. And while we’re driving south before the fair and back north afterwards, we make visits to climbing gyms, especially in bigger cities along the highways in Germany. Anyone out there wanting to have a chat with us, don’t hesitate to email us at sales@kitkaclimbing.com.